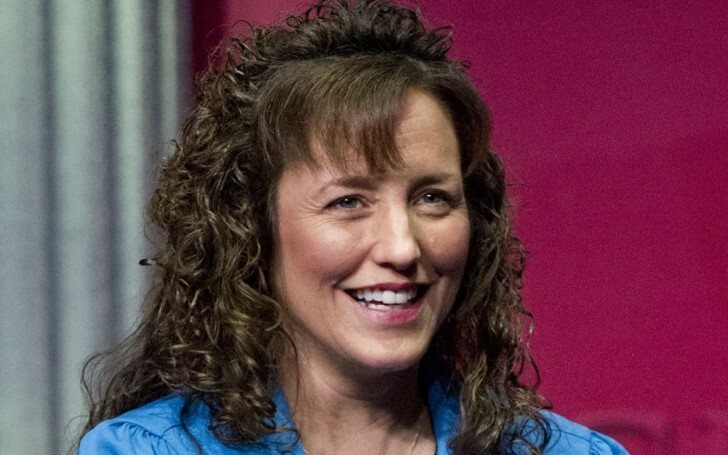 Michelle Duggar's marriage advice for newlyweds. Michelle and Jim Bob Duggar are sharing a successful marriage for more than three decades. Fans often wonder how the couple managed to stay together for so long and what could actually be the key to their success? Michelle's personal blog certainly comes handy in this regard as the reality star provided marriage advice to newlyweds. After a Counting On fan asked her what advice she would give Jill Duggar about being a wife, Michelle wrote in elaborate detail. Duggar revealed she continues to follow the advice she received from her close friend Gala, even after 30 years of marriage. She said, "Whenever I speak with groups of other moms and married women, I always share this advice. It’s been the best advice that was ever given to me in regard to my relationship to my husband, Jim Bob. [My friend] Gala had only been married for three years, but she had very wise advice…"
Also See: Has Jinger Duggar REALLY Been Disowned By Her Parents?! Michelle continued, "She told me: ‘Michelle, I know you’re so excited. You’re a bride-to-be, but someday you’ll be at this point. I’ve been married three years and I’m still happily married. I have one child, we’re expecting our second and I’m big pregnant. You’ve got to remember this. Anyone can iron Jim Bob’s shirt, anybody can make lunch for him. He can get his lunch somewhere else. But you are the only one who can meet that special need that he has in his life for intimacy. You’re it… So when you are exhausted at the end of the day, maybe from dealing with little ones, and you fall into bed so exhausted at night, don’t forget about him because you and he are the only ones who can have that time together. No one else in the world can meet that need.’"
The Counting On star then claimed it's essential to not fight in public. Although it's tempting to start arguing right then and there whenever your partner rubs you the wrong way, Michelle reckons it’s best to save disagreements for the right time and place. Moreover, Jim's spouse believes it's most certainly the wrong time to argue if your children are present. "Don’t ever talk about things in front of your children that are supposed to be between you and your husband only. Step aside and say, ‘We’re going to talk about this privately.’ And don’t ever put your husband down in front of your children or other people, especially your families. Talk privately. We always say in our family, we praise publicly, but we correct privately. And that’s marriage advice that I would give to anyone." Michelle believes one must not hesitate to seek marriage advice. It’s crucial to realize when you need professional help since marriage is always likely to be tough. Michelle advises married couples to get outside advice when necessary since there are some issues you might not be able to handle alone. "There are going to be those times in your marriage where you might not always agree; you might not see things eye to eye and sometimes you may need a trusted third party to be a counsel for you in your marriage. Feel free to go to that trusted wise counsel that you both respect and get counsel when you need it. We have all been there. Yes, we have a oneness with spirit in Christ, but there are times that we need others to give us life counsel. So be willing to go seek it together."